We created this for our friends and family, most of whom do not understand why Jim would quit a great job that he loved (President of JanSport - Eastpak - Kipling International) and how we can move away from a city that we enjoy (Antwerp, Belgium) and onto a boat with no idea what we are doing or where we are going. This site will tell the story of our adventures. To follow our adventures you can click onto the Logs links or Route Map at left or the following links to view regions. June - October 2016: We'll be sailing from Venice, Italy to Mallorca, Spain and visiting Slovenia, Croatia, Montenegro, Albania, Sicily, Corsica and the Balaeric Islands. 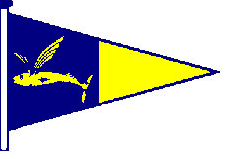 Watch for updates. 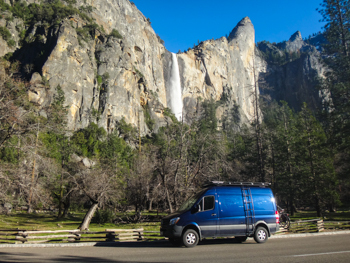 Check out our new land yacht, a 4x4 Sprinter! We've seen 50 countries aboard Tenaya, now it's time to see our own continent. 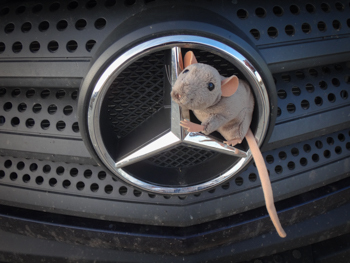 A little critter, Sprinter Van Rat, will tell the story of our DIY build-out and introduce you to places we go and people we meet. 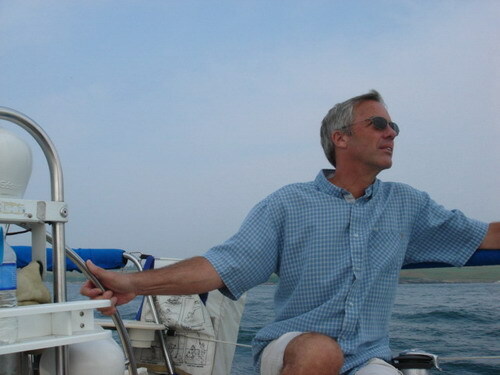 Jim in Newport, RI - Summer 2005. It looks like I am trying to look cool but really I am trying to watch where I am going. 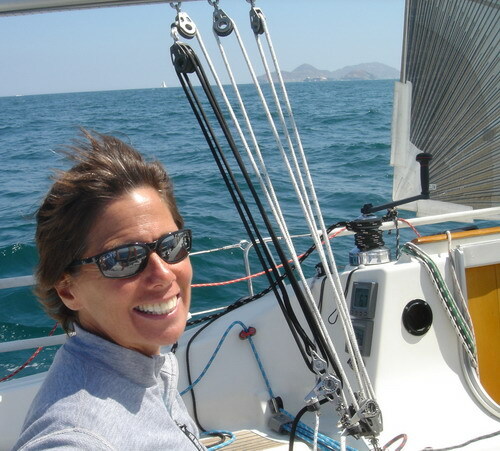 This is my first time on a sailboat in 25 years. 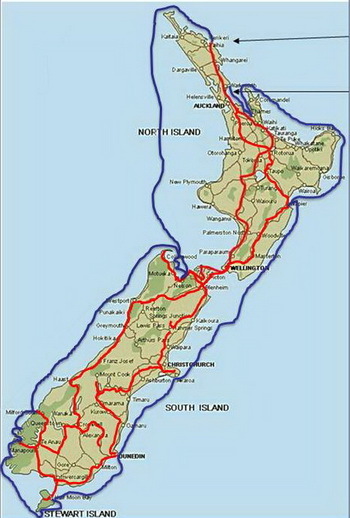 The red line shows our land travels in Gerty, the old, tubby, campervan we owned in 2011. 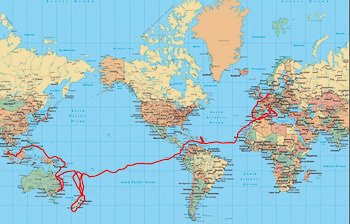 The blue line shows our sailing trip around the country in 2012. 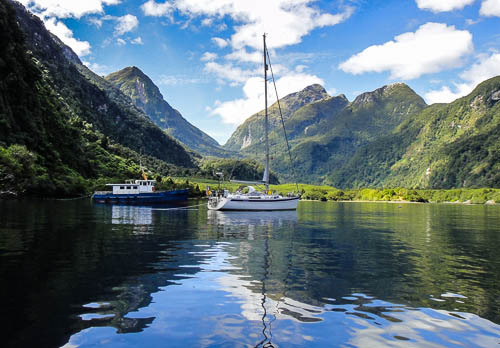 Whatever mode of transportation you choose, New Zealand is a magnificent country for adventures!